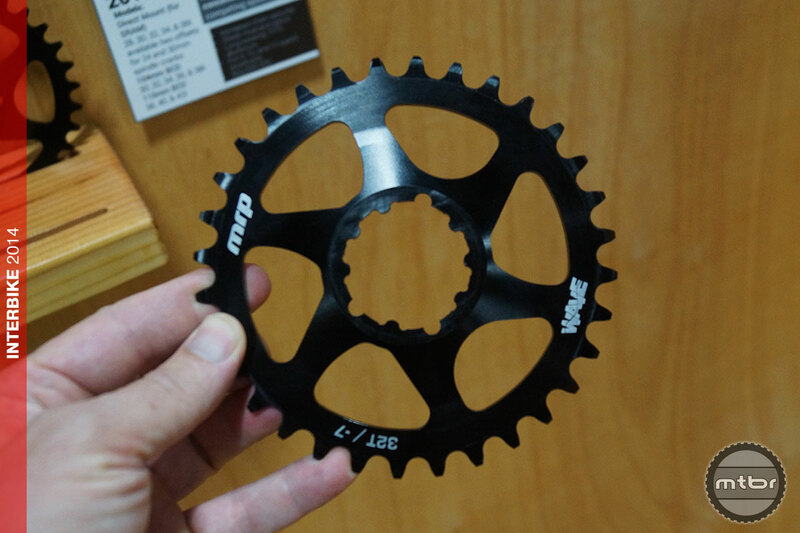 MRP has launched into the narrow/wide single chainring fray with their unique Wave ring that features offset left-center-right alternating tooth configuration. MRP says the design wears better than traditional narrow-wide rings while providing increased chain security–though they still recommend a 1x guide for rowdy conditions, and a clutch-style derailleur is highly recommended for all conditions. An $80 SRAM direct-mount version will be available in early 2015 with 28-, 30-, 32-, 34-, or 36-teeth, and in offsets for 24 or 30mm spindle cranks. A $50 104 BCD version in 30-, 32-, 34-, 36- and 38-tooth version will follow soon thereafter. The company is also considering a Race Face Cinch system-compatible version. For more information visit mountainracingproducts.com.